Taxmen have started hunting. This is the time, many hate to face. Salaried people and businessmen struggle to keep track of their charge sheets. Though, salaried class don’t have to do too much because it’s the employer who usually handles taxes for them. But, on the other hand, it’s the business people who have to make sure that they have everything on the line, whether choosing the right chartered accountant, or keeping the expense sheet in order. One thing that troubles, every taxpaying citizen, is the dilemma – the dilemma of choosing the right investing tool in order to avoid taxes. There are plethora of options, right from insurance to mutual funds, shares, fixed term deposits and other investment potholes. The issue here is why you should choose a particular investment vehicle. If you ask any taxpaying individual, the first thing he will say when discussing taxes, is insurance. Insurance is by far the easiest option. There are too many insurance agents roaming around. There are hundreds of websites that sell insurance policies. If you are not finished yet, there are hundreds of blogs that allow you to read good insurance articles. That simply explains the ease of choosing an insurance policy, however, other instruments that save taxes are not so easy. One has to study a lot or know about, for instance if you have to decide to invest on shares, it’s simply not very easy. You will have to know about the companies that sell shares. You will also have to keep track of their operating strategies, and holding areas. It’s understandable that you may not know a thing about it. Therefore, you need to hire someone, a broker possibly, who will assist you to buy the right kind of shares, which again could be risky. It is exactly where putting your money on insurance policies is easier, and it also gives you the opportunity to make money, and avoid taxes. It works as an investment arm, without risking anything. There have been many who keep complaining about the low returns on insurance. Some say the only thing that actually works in insurance favour is perhaps, the compensation amount in case of death. In that case, the beneficiary receives the compensation. But what about the one who has done all the hard work in paying the premium over the years. Does insurance actually have the benefit for them? Yes, the benefit exists, but the end amount may not be that high in compare to other investments. Also, there are policies that provide transitional benefits along the way. Though, there are some risks involved in shares or mutual funds, the returns are unquestionably higher if you can truly make that far. However, it’s important to note that to save tax, insurance is the right choice if your tax amount is lower. 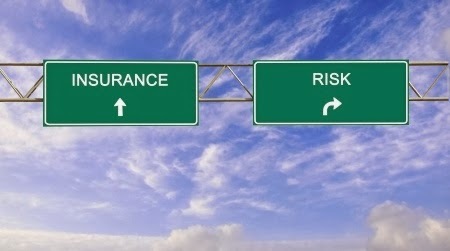 Considering the fact that there are no risks involved in insurance, it can be a safe bet. For salaried class, insurance is by far the best investment option for saving taxes. Jack Dawson is an insurance broker who loves assisting people in choosing the right policy.